Start by making a peach puree. You can do this by blending 1 cup of fresh or frozen peaches with just a tiny splash of water. Add the peach puree, bourbon, and lemon juice to a cocktail glass with crushed ice, and stir to combine. Add torn mint leaves and gently muddle with the rest of the ingredients. Top off with ginger beer. 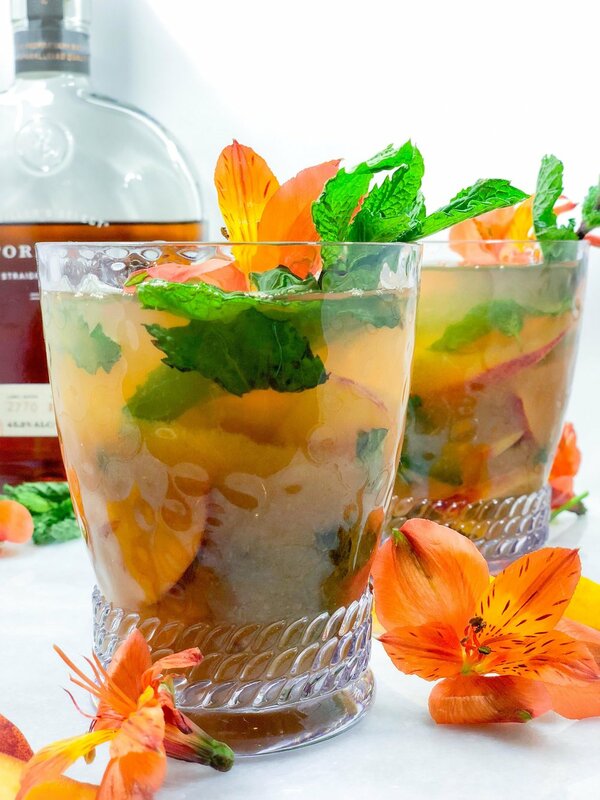 Add fresh peach slices and more mint to garnish. You can also use 4 fresh peach slices (1/2 of a medium sized peach) instead of the peach puree. 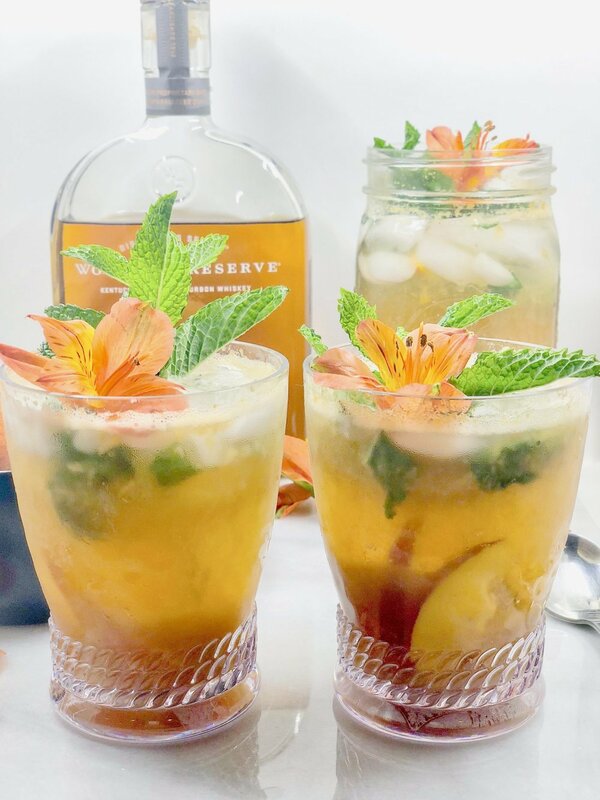 Muddle the peach slices with ice, bourbon, and lemon juice. Then add mint leaves and gently muddle all of the ingredients. Top off with ginger beer and garnish with more mint leaves and peach slices before serving.